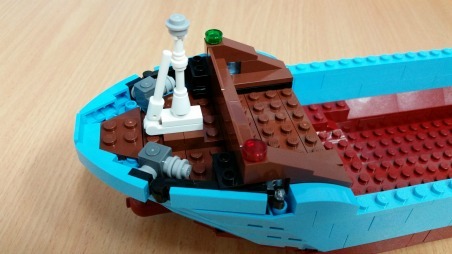 Week three of the Lego build is upon us. We’ve constructed the hull and placed the good luck coin in its position. We’re certainly off and racing! This week we passed the reins over to a mini pop-in builder. Resident cutie Saskia Hack joined us and was very excited to help with the engines of the ship. Like a master engineer, Saskia handled the engines with expertise. We are blown away by the model’s level of detail. 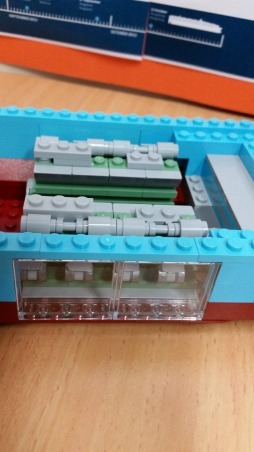 For example the special viewing windows to the engine compartments makes it easier to see all the inner workings that would normally be hidden away. The engines in the actual Maersk Triple E ‘Maersk Mc-Kinney Moller’ are diesel powered consisting of two super-long stroke engines which drive two 4 bladed propellers that operate at lower propeller revolutions. The ship also travels at a slower speed (23 knots or 42.6km/h) cutting fuel consumption and lowering carbon monoxide emissions. This formula equals the greatest possible efficiency. The above graph shows the savings in CO2. 25knots is the fastest the vessel can operate. 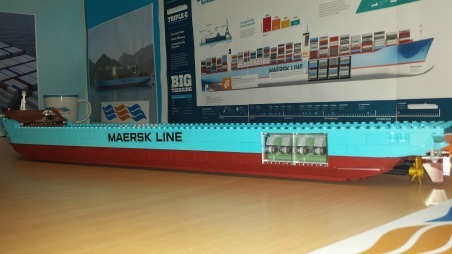 The next step was to place the essential MAERSK LINE sticker to the side of the U-shaped hull. 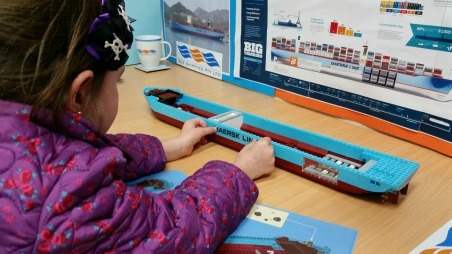 With pirate hair clips, we’re not so sure that we can trust Saskia with this vessel! She’d make a cute swashbuckler though… Arrrr. With the sticker securely in place, it was onto the mast of the vessel. 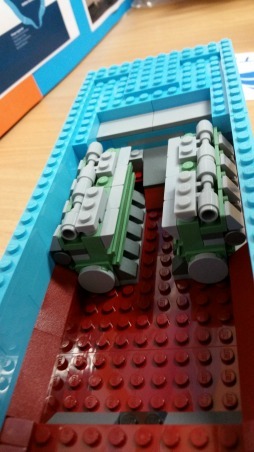 Port side is red and starboard is green. With the mast upright and the navigation lights in place, the bow is complete. 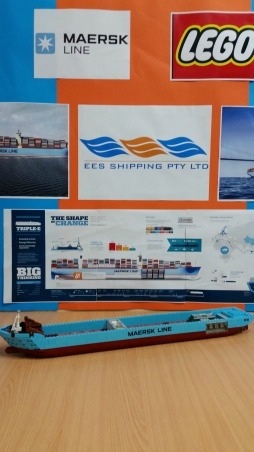 Did you know that the real Maersk vessel sports a bulbous bow to assist with greater fuel efficiency? This ship may break records for containership capacity, but it certainly is friendly on the environment. 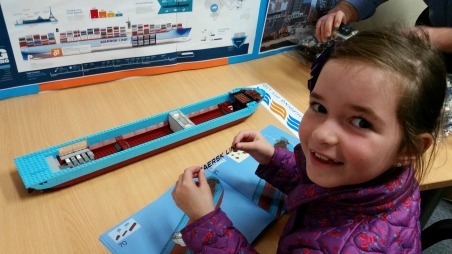 Whilst Saskia loves to build Lego, we thought that it would be best to release her from her duties at this point. She ran off to find a quiet corner to sit in and absorb her latest read, The Wizard of Oz. This vessel is really coming together. Stay tuned next week to see the girls from Imports and Cartage put their heads together for the next part of the build.